October in the Smoky Mountains is an awesome experience. Thousands of visitors arrive in Gatlinburg for the fall leaf show. My favorite time to photograph is on a rainy day, when the colors are vibrant and saturated. See my daily blog for more Smoky Mountains photos, and please stop in at the William Britten Gallery in Gatlinburg, TN. 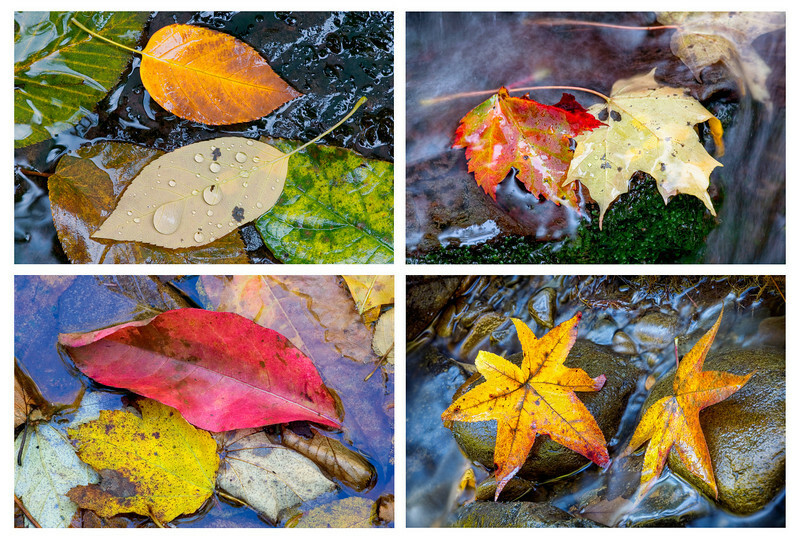 Four Leaves in a Stream This is a set of four images that I mount on frameless boards. Probably my signature item. Great Smoky Mountains National Park. Lots more Smoky Mountains Photos and info over on my blog.